However, the Lutheran Heritage policy has just been reversed in a new decision involving The Boeing Company, as one of the many policy reversals being made by the NLRB’s pro-employer Republican majority re-established with President Trump’s appointees in September 2017. (I blogged about NLRB’s “joint employer” decision here). What’s the NLRA’s Basic Standard for Employer Policies? Section 7 of the NLRA guarantees employees "the right to self-organization, to form, join, or assist labor organizations, to bargain collectively through representatives of their own choosing, and to engage in other concerted activities for the purpose of collective bargaining or other mutual aid or protection," as well as the right "to refrain from any or all such activities." Therefore, any employer policy that directly or explicitly restricts these rights is a violation of the NLRA. How has NLRB Changed its Approach to Ambiguous Employer Policies? Employees would reasonably construe the language to prohibit Section 7 activity. The rule was promulgated in response to union activity. - The nature and extent of the potential impact on NLRA rights. - Legitimate justifications associated with the rule. 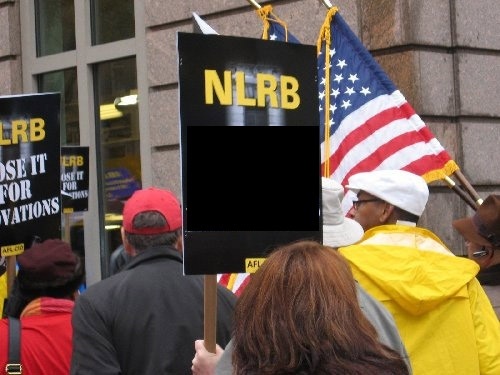 “Category 1 will include rules that the Board designates as lawful to maintain, either because (i) the rule, when reasonably interpreted, does not prohibit or interfere with the exercise of NLRA rights; or (ii) the potential adverse impact on protected rights is outweighed by justifications associated with the rule. Examples of Category 1 rules are the no-camera requirement in this case, the “harmonious interactions and relationships” rule that was at issue in [the recent] William Beaumont Hospital, and other rules requiring employees to abide by basic standards of civility. Under NLRB’s new flexible approach, these categories seem largely to indicate that some employer policies will be valid, some problematic, and some prohibited. Does the organization promulgate workplace rules and policies that govern employee conduct? Does the organization evaluate its workplace rules and policies to determine whether they impinge – or might impinge – on employees’ NLRA rights to provide collective action (including union activities)? - Has the organization conducted this evaluation under the longstanding Lutheran Heritage analytical standard? - Has the organization conducted this evaluation under the new Boeing analytical standard?